they do make beautiful music together. Jill Jensen and Jack Grassel "get" each other. They "get" the need they both have to create music together. They "get" the music they make together. "We get each other," Jensen said about her husband. "Everything we do seems like a dream." It is no coincidence that the name of the first CD Jensen and Grassel did together is titled Seems Like Dreams. Recorded on the Frozen Sky label, Seems Like Dreams features Jensen singing songs she grew up with - "Witchcraft" - "I'm All Smiles" and "One For My Baby." Grassel is the producer, arranger and guitarist for Seems Like Dreams. Guest artists are Rick Embach and John Price. Jensen said the entire production has a mellow feeling. "It's like the difference between patent leather and satin. We wanted to give it a patina, to make it more shimmery." As a child, she grew to love those songs. Hearing them now is like visiting old friends, seeking them out for comfort. Grassel calls the production "making love with music." The March 2000 issue of Guitar One magazine called Grassel one of the 10 best guitarists in the country. 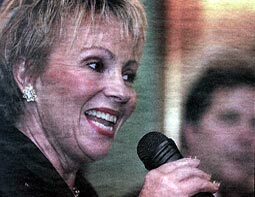 Readers of the Racine Journal Times called Jensen their favorite female vocalist. She is also well known to local television viewers as the Schaefer Pontiac woman. There is no competition in this relationship. They both insist the opposite is true. "With his arrangements, he loves providing places for me to sound better. We both can't do enough to make each other do better." Jensen said. "Performing together is another way to relate." Grassel said. "There are so many levels to our relationship. There is music, business, love, play, work, humor, taking care of each other. We can make a quick turnaround and go from one level to another at will." A performer since he was 4 years old, Grassel was taught by the best. He credits George Van Epps, Tal Farlow, George Pritchett and Joe Daley with teaching him to play the guitar. But now, at age 51, the sound is uniquely his own. Guitar One said, "Simply put, he sounds like no other guitarist you've ever heard before." 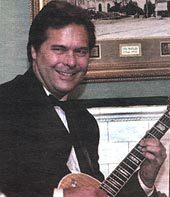 Besides a schedule of more than 250 performances and seminars each year, Grassel is the coordinator of music instruction at Milwaukee Area Technical College and teaches at the National Guitar Workshop. Jensen averages one or two live performances a week. She also does commercials and voice-overs for television. She devotes a good share of her time to managing her career and that of her husband. She handles wardrobes, stage appearances, publicity and their Web sites. In an interview at a Racine restaurant, the couple talked about entertaining as a consuming desire, as a way of life, a fulfillment. Grassel estimates he has given 8,000 performances in his life. "I had great teachers. My parents started me at a young age. They saw that I had talent and I worked hard," he said. "My teachers taught me to practice correctly." At this point in his career, Grassel said, "It's as easy for me to pick up a guitar as it is to breathe." He relishes the crowds that come to hear him play. "I know I can play a guitar well. You could drop a bomb behind me and it wouldn't destroy my concentration." Jensen had no formal training, but has been singing since childhood. "I just knew I loved it. If I saw an opportunity, I would go and get it," she said. "Performing charges my batteries." Jensen and Grassel said they get energy from their enthusiastic audiences. "I always try to surpass yesterday's performance," Grassel said. "That’s my measuring stick. I feel good when I can say I played better today than yesterday." On a professional level, Grassel and Jensen said the world does not take performers seriously unless they have a successful CD. "He (Grassel) said he wanted to make a CD," Jensen said. "The music just grew and evolved, like our feelings, our relationship." Their plan for the future is simple: Keep making beautiful music together.